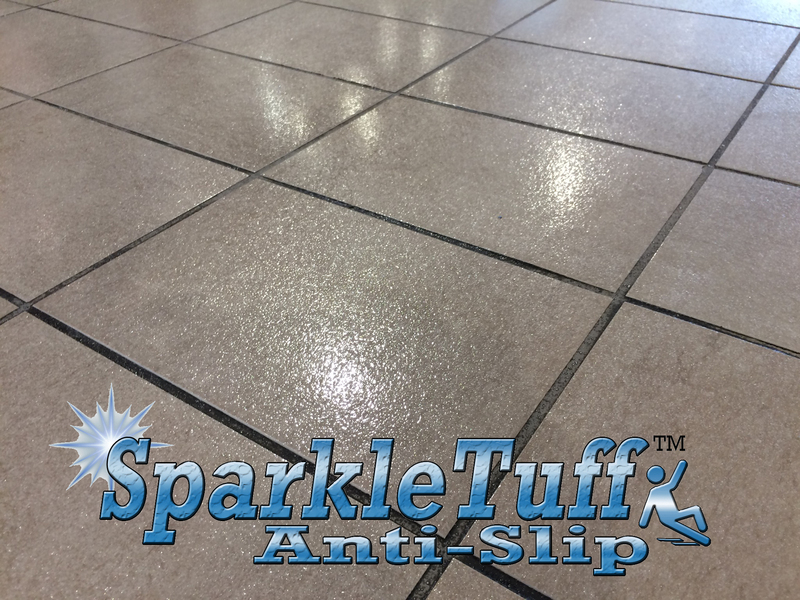 SparkleTuff™ Anti-Slip Floor Coating is a transparent, durable high-gloss floor coating that is highly slip-resistant wet or dry. 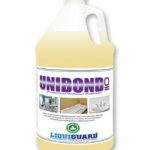 It is very resistant to liquids (including chemicals) and stains. It can be used indoors or outdoors and on any ADA accessible surface. Working time is two hours after mixing a batch of the two components. Drying time is 8 hours for light foot traffic. It contains no VOCs or solvents. Looks great — no slips! 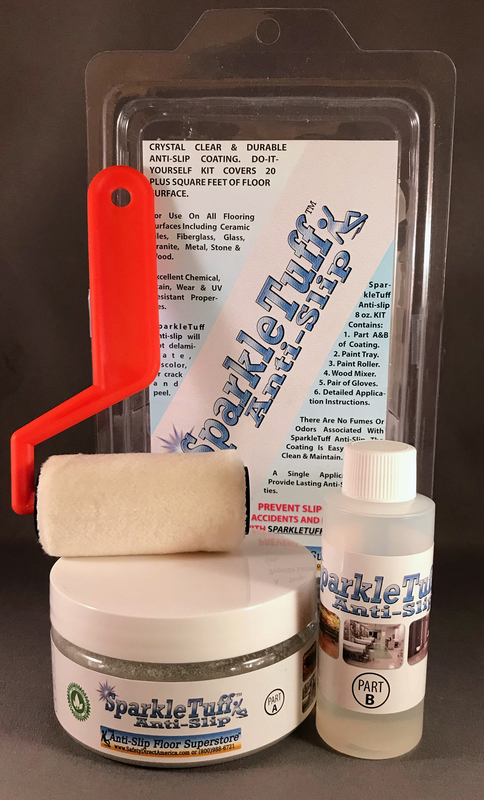 SparkleTuff™ Anti-Slip Floor Coating is a transparent, durable high-gloss non-skid floor coating that is highly slip-resistant wet or dry. 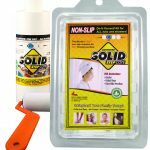 It is very resistant to liquids (including chemicals) and stains. It can be used indoors or outdoors and on any ADA accessible surface. Working time is 75 minutes after mixing a batch of the two components. 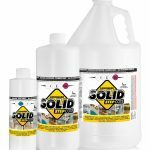 One gallon covers 400-500 square feet. Drying time is 8 hours for light foot traffic. 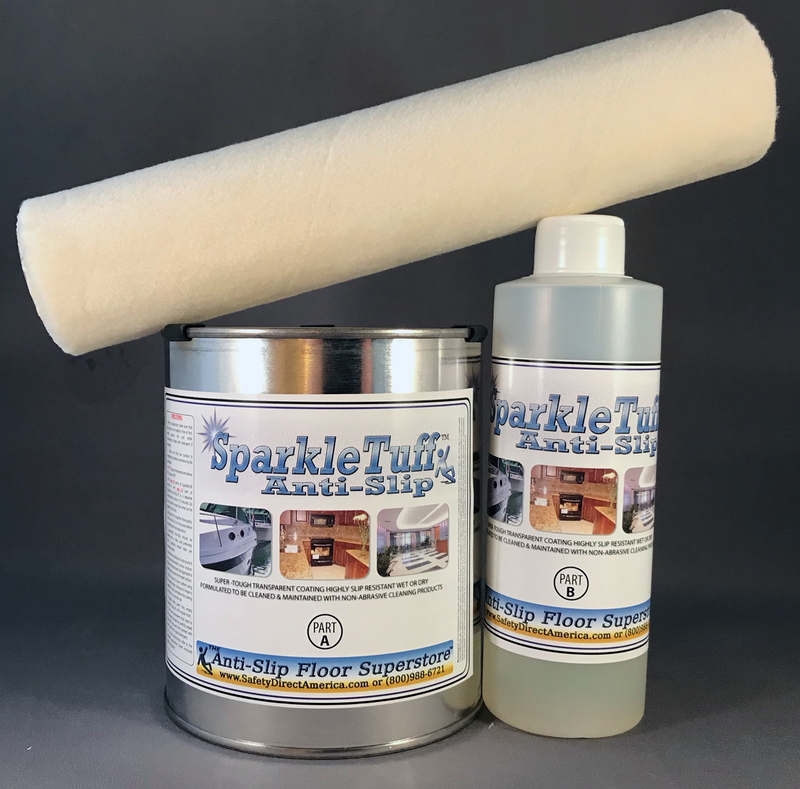 It contains no VOCs or solvents. 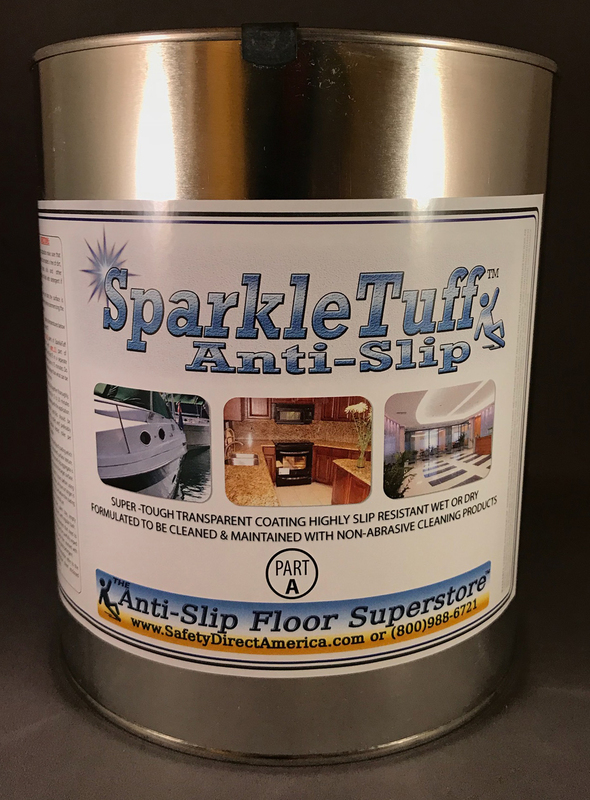 SparkleTuff™ Anti-Slip Floor Coating is super tough, super long-lasting, super anti-slip and non-skid, and it looks glossy and sparkly for years and years. 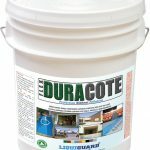 Save money by applying this anti-skid floor and tub coating once every several years. Can be painted on by your crew with the supplied paint roller. Looks great — no slips!